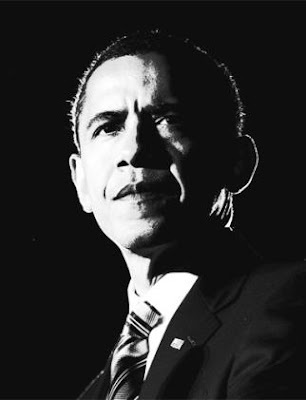 Brief and to the Point: Obama: A Year in Black & White. Who Says Race Doesn't Matter? Obama: A Year in Black & White. Who Says Race Doesn't Matter? The election of Barack Obama was meant to signal the birth of a ‘post-racial’ America; the moment when the long struggle for equality would finally be over. But as Baratunde Thurston argues, colour has become the defining issue of his presidency. In the beginning there was Shelby Steele, who in December 2007 had the audacity to release a book titled A Bound Man: Why We Are Excited About Obama and Why He Can’t Win. Other pundits shared the same sentiment in broadcast commentary, newspaper columns and online, but Steele went the furthest in committing a gross underestimation of candidate Barack Obama and of the American people who would elect him. Just one month after publication, Obama shook the world when he won the Iowa caucuses, and one year later, he was inaugurated as president. Steele and other professional opinion peddlers were proven devastatingly wrong, and the suddenness of this proof is but one example of how the presidency of Barack Obama has made the conversation about race in America more unpredictable than ever before. The election of the first half-black president – which in America means its first black president – raised expectations and uncertainties about how this country would, perhaps for the first time in a while, begin to wrestle with the question of race in new ways. Would Obama’s presidency lead to unprecedented enlightenment, respect and candour around the topic of race? Would it provoke a backlash and release an uglier, more shameful conversation generally held in private? Would it fulfil the hopes and dreams of the Civil Rights Movement? Would it lead to a rush by white Americans to acquire more black friends? Given the speed with which our modern society moves, however, one year is too inadequate an amount of time with which to render any final, meaningful verdict on the change in attitudes of Americans toward race. What it does offer, beyond the symbolism of an anniversary and the obligatory conclusion-drawing demanded by such symbolism, is an opportunity to look for hints of trends, to analyse some of the behaviour among the country’s media and political class (both of whom affect wider public opinion by setting the rules and range of public debate) and to ground both of these, to the extent possible, in actual measures of public opinion.